Learn more or try for free. Customer Service eLearning to Help Your Employees Speak with Friendliness and Empathy, and to Handle Difficult Customers with More Ease – with Progress Reports, Quizzes and SCORM option. Walmart called Myra’s eLearning “the gold standard” and John Hancock said, “The first thing that struck us was how engaging each module was….you are asked to actively participate in each module and there are action items you take away. 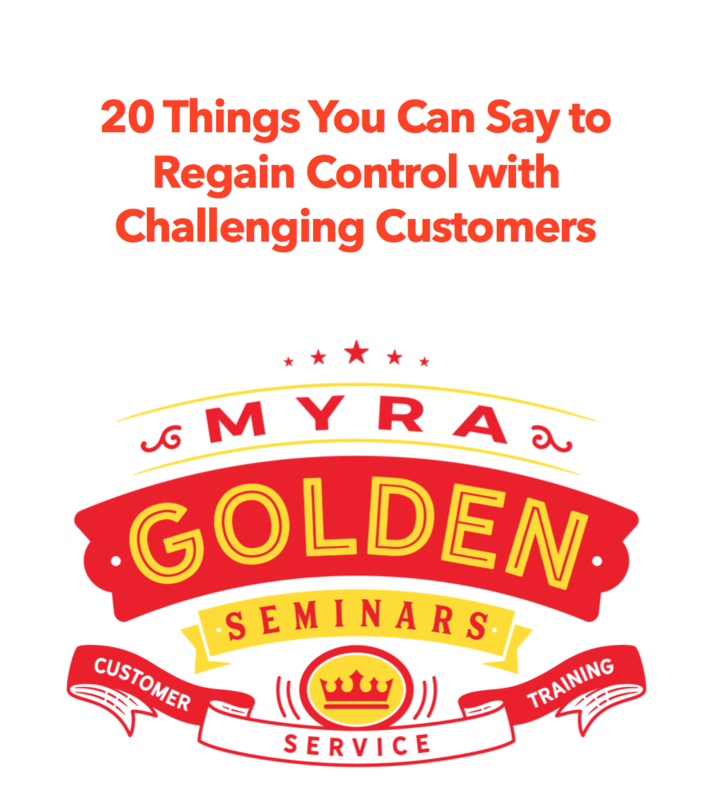 Myra has gathered up all of the best training content and activities from her live, full-day customer service workshops…the ones she delivers to companies like Coca-Cola, McDonald’s, Frito-Lay and Vera Bradley – and neatly packaged it in a comprehensive, affordable and extremely effective new customer service eLearning package that’s a fraction of the cost of classroom training. This eLearning is super easy! Choose an Administrator at your company and that person can add users to your account, assign courses and run progress reports with a couple clicks of the mouse!